One of my trusty Mont Blanc fountain pens just returned from the repair shop. I purchased this pen in 1986 and it has served me very well of the many years since. It finally got a little weep and needed a repair. I took it to the Mont Blanc Boutique, and two weeks later, it came back good as new, including a nice sleeve to protect it when not in use. The photo doesn’t do the pen justice. 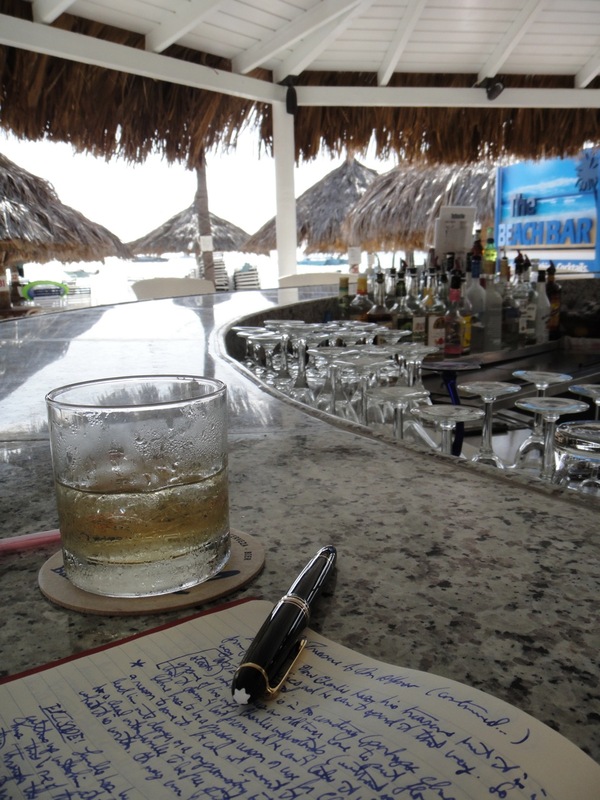 It’s a great writing instrument. I’ve written reams of pages with this pen, gone through numerous bottles of ink, and it keeps right on going. 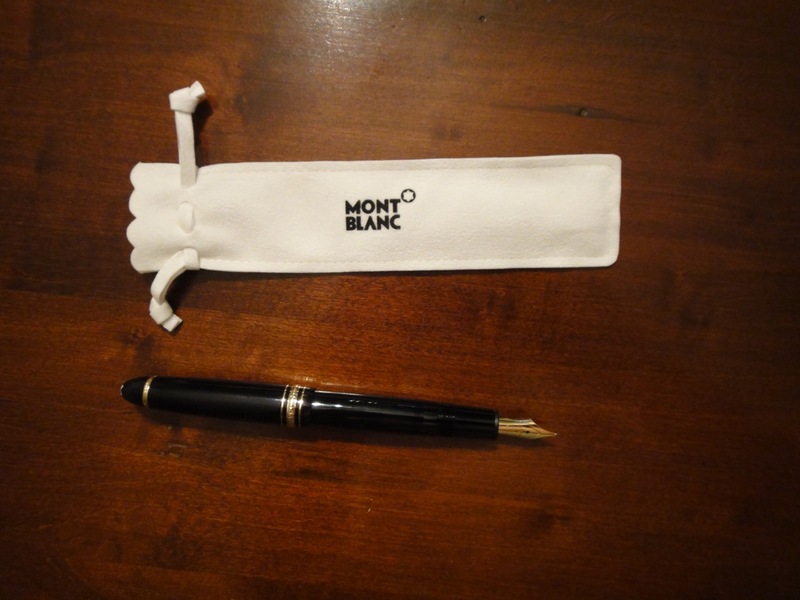 There’s aren’t many things out there that are as reliable and functional as a Mont Blanc fountain pen. Of course, they require a bit of care and you have to be more careful than with some old ball point. Then again, these pens are heirlooms that can be passed from one generation to another, deservedly so. Mont Blanc hosted a fun event last week. They introduced some new fountain pens, watches, and other exotic wares at their King of Prussia, PA, USA location. They were good enough to invite me, and I showed up toting my favorite Mont Blanc pen, one that’s written much of several novels. Now, I’ve never been one to go in for psychics and the like but Mont Blanc had a handwriting analyst on hand, one Paula Sassi. Let me tell you dear readers of The Bent Page, this lady knew her stuff! Here’s a photo of her after the analysis discussed below. In the photo we’re chatting about my notebook. In the first place, she asked that I write out a single sentence and then my signature. She proceeded to interpret these after a few moments of contemplation. Well, she had my personality pegged, flaws and all, to such a degree that my wife nearly blacked out. No kidding! More than just general traits, she zeroed in on the specifics and I kept my mouth shut, partly out of awe and partly because I didn’t want to give her any clues. All I can say is this lady knows how to delve into your characteristics with nothing more than a few lines on paper. Thus, my thanks go out to Mont Blanc for the invitation to a thrilling event. Plus it was interesting to see their new fountain pens as well as a few old standbys. Keep up the good work, fellows, but remember, they’re hard to wear out. That’s a Mont Blanc 146 pen I’m using with Mont Blanc blue ink. Not that you can tell precisely because the video degrades on YouTube. Still, I’m there working away, spilling words onto the page that will eventually get typed into my computer, edited, and hopefully come out of the printer as a worthy story. You never know. However, with a view like this, the words come easier. Stay tuned, I’ll post some more videos of my writing haunts and fountain pens in action just for fun.